I'm never 100% sure how to describe my style, except that it's usually colorful! Occasionally it's a little preppy, often it's pretty classic, and sometimes it's a little bit more fun and out there. Most days I tend to take classics and give them a little bit of an edge through either really bold colors or unexpected prints. People have different facets to their personality, so why not have a wardrobe that reflects that? No matter what my style might be, one thing's for sure and that's that this outfit is pretty classic from from head to toe. 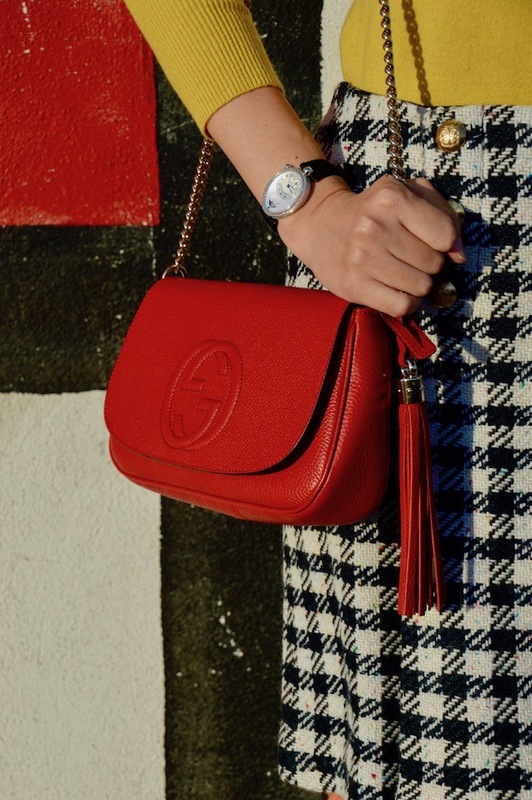 If you've read my blog, I'm sure you know that houndstooth is one of my all time favorite prints! 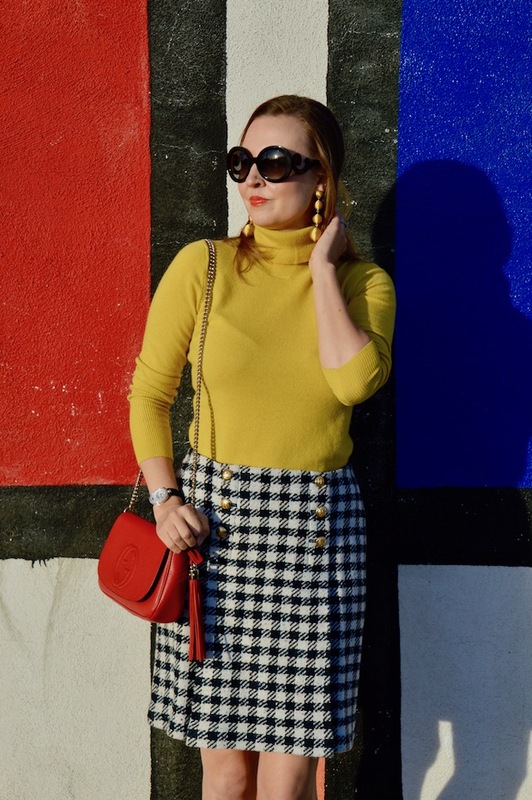 I certainly don't need anything else that's houndstooth and I've said that a million times on my blog, however, this wool houndstooth skirt from Talbot's was deeply discounted. In fact, it was under $30, which isn't bad compared to its original $100 price tag, so at that price, who cares if I have too much houndstooth? 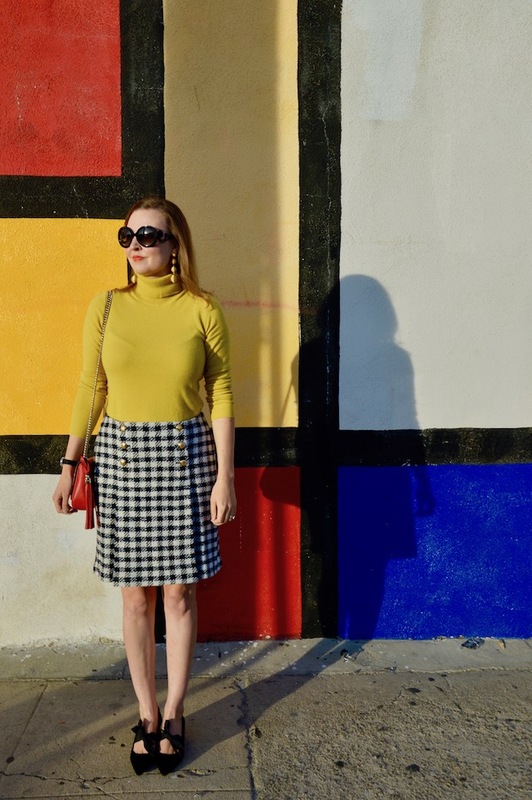 Last of all, the modern part of the title of this post obviously comes from this Mondrian inspired wall. I've taken pictures at this wall twice before and the lighting is never quite right, but it still makes for some fun pictures. On our most recent visit to this wall, a bunch of girls were taking a group photo with lots and lots of balloons. Apparently, they were not phased by the less than ideal lighting, so why should I? Cute! 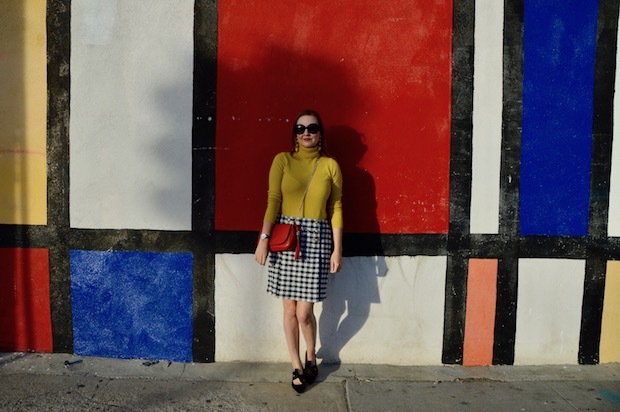 Love the mustard sweater with that skirt! I love those shoes! The bows are adorable and make the outfit so sweet! A few words I would use to describe your style are bold, unique and fabulous! Love this look, your shoes are the cutest! 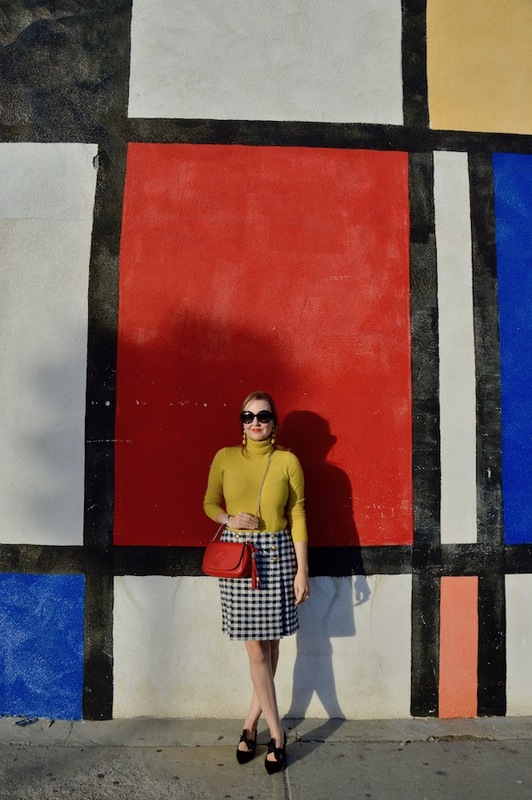 Perfect background for my color blocking post! 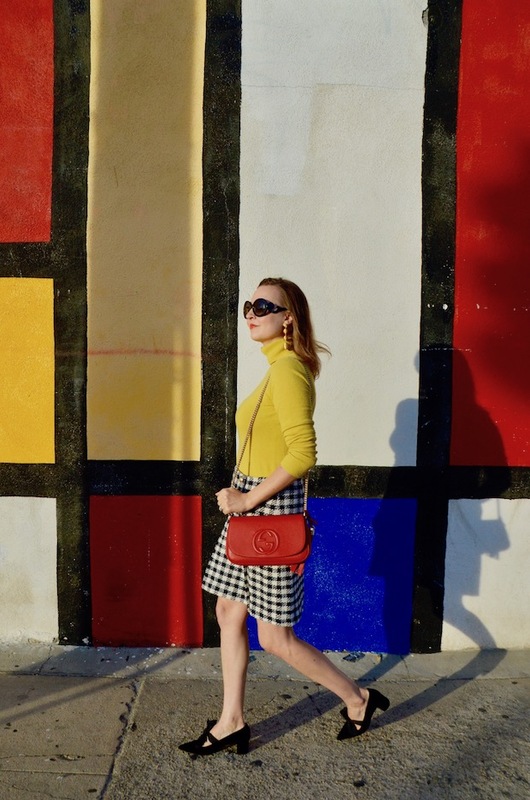 Love your colorful looks Katie! This skirt is so pretty, I love the buttons and style. Those shoes are adorable.. I cant resist bows, and of course that bag.. LOve!